Female couples not in a civil partnership but receiving fertility treatment may also both be registered. The law change applies to female couples in England and Wales who were having fertility treatment on or after 6 April 2009. However critics say the change would be detrimental to family values. Previously, the mother's female partner could not be registered as a parent. But the change in the law confers legal parenthood on the mother's female partner. According to the Human Fertilisation and Embryology Authority, there were 728 lesbians who underwent in vitro fertilisation (IVF) between 1999 and 2006. And in the same period, there were 5,211 lesbian females who received donor insemination (DI) treatment. The changes to the Registration of Births and Deaths Regulations 1987 were approved by Registrar General James Hall earlier this year, following Royal Assent for new parenthood provisions contained in the Human Fertilisation and Embryology Act 2008. A spokeswoman for the Home Office said that there will be provision for a birth certificate to be used that will have two "parent" sections, rather than mother and father. Also, sperm donors will continue to be able to opt in or out of having their name on the birth certificate, but if both mothers wish to have their name on the document, the donor cannot be registered in that way. Home Office Minister Lord Brett said: "This positive change means that, for the first time, female couples who have a child using fertility treatment have the same rights as their heterosexual counterparts to be shown as parents in the birth registration. Conservative MP Nadine Dorries told the BBC that the move undermined the traditional family model. She said: "If we want to build a stable society, a mother and father and children works as the best model. "We should be striving towards repairing and reinforcing marriage. I think this move sends out the exact opposite message." Dr Peter Saunders, of the Christian Medical Fellowship, criticised the move, telling the Daily Mail that the change would "create a legal fiction around the parentage of the children" which would then result in a "legal minefield" when it came to issues of maintenance and inheritance. He was supported by Labour MP Geraldine Smith, who said: 'To have a birth certificate with two mothers and no father is just madness." 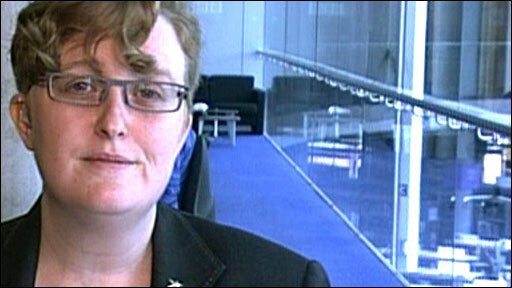 Stonewall's Head of Policy and Research Ruth Hunt said that as a result of the law change, life for lesbian families "isn't only fairer, it's also much easier". She added: "As the law improves to provide further equality, knowing your new rights will help people make full use of the services they're entitled to. And, if discrimination occurs, the same knowledge can help them demand fair treatment. "Now lesbian couples in the UK who make a considered decision to start a loving family will finally be afforded equal access to services they help fund as taxpayers."